Many of your transmission questions are answered below. If you have any further questions, please do not hesitate to contact us here at Advanced Transmissions. We would be glad to assist you. 1- How do I check the transmission fluid level? 2- I have a leak. Can you tell me how much it will cost to repair it? 3- Can I drive with a transmission leak? 4- Can you tell me how much it will cost to overhaul my transmission? 5- How long does a transmission normally last? 6- How can I make my transmission last longer? 7- What is a "shift kit?" 8- Will it hurt to overfill the transmission? 9- Will overfilling "blow" seals? 10- If I tell you the symptoms, can you tell me what will repair my problem? 11- I had repair work done, and now the transmission is acting up. 12- I have a computer controlled transmission and now it's acting up. What could it be? Do I need a new transmission? 13- How do I find a good repair facility? 14- Can I tow in overdrive? 15- What does "scanning" a transmission do? 16- Is burnt fluid bad? 17- How often should I have the transmission serviced? 18- I have a GM and occasionally the engine dies when I come to a stop or put the transmission in gear after engine restart. 19- I have a transmission problem and I'm going to change the fluid and filter to see if that fixes it. 20- I want to replace my automatic transmission with a standard. 21- My Dodge/Chrysler transmission has a delayed engagement when I first start it in the morning. 22- Should I drive in overdrive or normal drive? 23- I'm looking for a cheap overhaul. 24- I'm confused about transmission repair terms and definitions. 25- My older vehicle's transmission shifts into reverse ok, but has a delay going into drive when cold. 26- My vehicle needs some expensive repair. Should I have it repaired or replace it? 27- My transmission will not upshift for the first few miles when it's cold. 28- I have a noise or vibration. Where is the source? 29- Which type of transmission gets better gas mileage, a standard or automatic? 30- I have water in my transmission. Can it be flushed out? 31- What's the difference between a transmission service and a flush? 32- I found this piece in the transmission pan of my Ford. What is it, and where does it go? 33- Should I fix or replace my vehicle when it needs a major repair? 34- Can I replace my GM overdrive transmission in my 4x4 with a 3 speed unit? 35- What is your opinion about transmission additives? 36- Is this repair a guess or a fix? 37- The estimate includes "soft parts" but not "hard parts. 38- Why shouldn't I replace my bad transmission with a "used" unit? 39- I've called several transmission shops, and I get wide range of prices. 40- My GM transmission doesn't have a dipstick to check the level. 41- My late model Ford overdrive transmission shudders at about 45 mph. 42- My late model Chevrolet pickup truck makes a thump on acceleration after stopping. 43- My older transmission takes a long time to engage forward and reverse when the weather is cold. 44- I did some work on my transmission and now it doesn't perform normally. Can you tell me what I did wrong? 45- I am considering the purchase of a used vehicle. How can I check the transmission? 46- I have a late model GM vehicle and the computer shows a P1870 code. What does this code mean? 47- I need to have work done on my transmission, but I want to know the "worst case" cost before I take my vehicle in, so I know I have enough money. 48- What does the term "slipping" really mean? 49- What does the appearance of small bubbles on the dipstick mean? 50- What are the Do's and Don'ts of transmission maintenance? Always check the fluid level with the engine running (except Honda), the transmission in "park" (except Dodge products which should be in neutral with the emergency brake applied), and with the engine at operating temperature. Remove the dipstick and wipe with a rag. Insert the stick fully and remove. Look at both sides of the stick to verify the same indication. Repeat the process. The reason to check both sides of the dipstick is that after the fluid circulates through the transmission, it dumps back into the pan area and will cause an agitation of the fluid. This creates an uneven level and some fluid will "slosh" onto the stick and give a false reading. Some transmissions are worse than others. Note: If you check the fluid level after the engine has been off for a long time, fluid from the torque converter will drain back into the pan area where the level is measured and give you a false high reading. When the engine is started, the fluid in the pan area is used to fully charge the transmission and torque converter. Also, the difference of fluid temperature will affect the measurement. The fluid volume expands when heated to operating temperature. Another method of checking the fluid is to turn off the engine and immediately check the level. This will stop the agitation and give an accurate level (no agitation) before the fluid in the torque converter has had a chance to drain back into the pan area which would give a false-high reading. Tip: If you have added fluid, go through the same procedure, but repeat the process several times before you look for a reading. Some of the added fluid will adhere to the side of the filler tube and can give a false reading. Tip: If the fluid level is low, you have a leak! Transmissions do not consume fluid. Have the leak diagnosed and repaired to prevent more serious problems. After you have added fluid, drive the vehicle for a mile or two, then recheck the level. This is especially important in front wheel drive vehicles. There are numerous places that a transmission can leak. They include: the pump, shift lever seal/s, kickdown seal, electrical connection/s, governor cover, speedometer, rear output seal or axle seals, servo cover/s, filler tube, throttle cable, pan, side cover, cooler lines, and differential cover. The real question is: What is/are the source(s) of the leak(s). Most people can only see the bottom of the unit, and therefore conclude that the bottom pan gasket is leaking when, in reality, the leak is from above and running down and around the pan. Therefore, it is imperative that the unit be visually inspected to evaluate the leak situation! So, the answer to the question is: No, I can't without seeing the vehicle. It depends on the rate of fluid loss. A minor or slow leak will allow you to drive as long as you maintain the level in the normal range. You will have to establish the rate of loss and replenish as necessary. It should be obvious that if fluid is running out as a stream, then you won't go very far. A transmission will usually operate "normal" until the fluid loss is a quart or more. Then the unit will exhibit abnormal operating symptoms and internal damage is occurring. What started as only a leak can result in a major repair bill if ignored! My first question back to you is: Which model transmission do you have and how do you know it needs to be overhauled? Occasionally, a poorly running engine, restricted exhaust, computer or sensor, poor electrical ground, or other problem not internal to the transmission will be the cause of abnormal operation. Tragically, I have had numerous vehicles brought into the shop having had major work done on the transmission itself or the unit replaced, but the operation problem is still present. This usually turns out that the problem was never in the transmission, therefore never resolved. What a waste! There is no accurate answer to that question. The mileage or time of use before major problems occur will vary greatly, and therefore, I don't see a correlation between mileage and expected transmission failure. It is not unusual that the first few years after a newly designed transmission hits the road, that early failures occur. But, in later years with updates to the original design, the units become more reliable. The three major factors in the life expectancy are periodic maintenance, maintaining proper fluid level, and driving habits. Just like the dentist tells you, "Don't ignore them." Check the fluid level and condition periodically, repair any leaks/problems promptly, service the unit on a regular basis, and add an auxiliary cooler if the vehicle is used for towing, commercial, or high ambient temperature climates. Some units should have a shift kit installed. Synthetic fluid may benefit some applications by lowering operating temperature resulting in a longer life, but not all transmissions can use the synthetic fluid. The kit is an aftermarket service pack that has been researched and developed to compensate for design deficiencies discovered in a particular transmission. In most cases, the kit improves the quality of shifts, increases the internal pressure that operates the unit, and provides better lubrication. Note: Not all transmissions need the kit. In a word, no! The transmission case is vented preventing pressure buildup in normally un-pressurized areas. Severe overfilling can raise the fluid level such that the transmission may lose fluid through the vent or leak from seals that are above the normal fluid level, but the fact remains that the seals that are under pressure and those that are not will not change because of the fluid level. I wish it were that simple. Don't get me wrong, but rarely have I had such an accurate description from a customer covering all needed information that the conclusion reached from that description was the correct one. In most cases, if I performed the repair based solely on the customer's perception, the problem would not have been resolved. Most people, including general technicians, don't have the depth of knowledge to adequately diagnose transmission problems. The best I can do is give you information that might help you understand the problem or symptom, and provide some insight into some of the possible solutions. If you notice problems with your transmission right after other repair work has been done, call it to the attention of the technician or facility that performed the repair. Occasionally, a problem may be inadvertently created during a repair. But, don't wait too long; this "unintended consequence" should be investigated as soon as practical. Logic dictates that if the transmission worked well before, it should after. Just remember to use some diplomacy. 12- I have a computer controlled transmission and now the transmission is acting up. What could it be? Do I need a new transmission? If you notice problems with your transmission, don't automatically assume that the problem is actually in the transmission. Computers receive information from numerous sensors, process the information, and then signal/operate the transmission. Often, the problem is in one of the sensors, an electrical connection, or system ground. In such a case, any work on the transmission will not resolve the problem. Equipment called scanners can "read" the codes stored in the computer and help pin point the source of most problems. Therefore, it is imperative that the entire control system be diagnosed before the transmission is attacked. As the commercial says, "It's not you Father's Oldsmobile." Maintaining your vehicles today can represent a major investment. Therefore, it is financially important that you establish a relationship with a facility that you can trust and have confidence in. As far as transmission repair, I generally recommend ATRA shop. They have promised to abide by a code of ethical repair, and most will issue a nationwide warranty of their work. As far as general repair, the most reliable approach is to ask friends, co-workers, or members of any organization that you may belong to, who they use. That's usually the best source to get reliable information about their experiences with local repair facilities. Contact your local Better Business Bureau to find out how long they've been in operation, how their track record has been in handling customer complaints, and other valuable information. When you drive into a facility, use common sense. Does the shop present a credible, professional appearance? Does the shop look clean and organized? Do the employees appear to show pride and competence? Don't be afraid to use your gut feeling. If you find a facility that you think will be right for you, have them perform a minor repair or periodic maintenance service to see how they operate. Note whether the final bill matches the estimate, if they keep you informed about the progress of the job, and if the repair was done in a timely manner. Did they push for more repairs than you felt were necessary? When you talk to the service writer, is he/she knowledgeable, concerned, listen to you with the indication that they care about you as a person and not a potential profit? Were all of you questions and concerns addressed to your satisfaction, or did you feel intimidated? Most good shops will be interested in helping you form a long lasting relationship, so tell them what your criteria is from the start, and see if their answers match your expectations. A good relationship with a repair facility takes some investment of your time and money, and should be done conscientiously, but the effort made can be invaluable in the long run. The worst thing you can do is run from place to place chasing all the come-ons, specials, and deals. Those never work out well. Most transmissions will not allow you to tow while using overdrive; You will be told to use the "normal" drive. However, there are some that will let you tow in overdrive. This is a chance to use the vehicle operating manual to find the answer the overdrive question. While you have the manual out, checkout the required service intervals, recommended tire pressures, etc. This is a book that is often ignored, but is filled with valuable information. This procedure involves attaching a small diagnostic computer to a terminal in your vehicle if your transmission is computer controlled. This device is then used to address your computer to determine if any trouble codes are present and to "read" the output from numerous electrical sensors that feed information to the computer. All of this information is useful in determining the integrity of the electrical control system for the transmission. Scanners have become very important in the diagnostic process. Note: Expect a nominal charge for this service. Also note: When the computer "sees" any parameter from various sensors that do not fit established criteria, the computer will set a code for each error. However, there are some errors that will be present that the computer will not sense because they are within the normal range but are not necessarily valid. In that case, the system has to be diagnosed to determine if applicable sensors or other electrical components are performing incorrectly and creating an abnormal transmission operational response. Not necessarily. The fluid will become brown and start to smell burnt as a normal course of operation of the transmission. The rate at which it changes from its normal red color is a matter of the operating temperature of the transmission and time. Normal service intervals will vary as a result of the use of the vehicle and the operating temperature of the transmission. When you check the fluid level periodically, note how it smells. You will notice a burnt smell long before the color changes. And, when you notice a strong burnt smell, have the transmission fluid changed. The mileage from the last service to now becomes your service interval. Also, if there are lots of small bubbles in the fluid on the dipstick, it's time to change it. The fluid life expectancy is directly related to the operating temperature of the transmission. Normal operating temperature is about 215 degrees Fahrenheit, but the cooling efficiency of you vehicle's cooling system and the type of driving you do will be the real determinate of it's life expectancy. At 215 degrees, it should go for 100,000 miles, but for each additional 20 degrees, the mileage is cut in half. The problem does not occur when the unit is cold due to a temperature sensor that prevents the lockup portion of the torque converter from functioning before the transmission is up to operating temperature. The transmission pan should be removed to inspect for internal damage residue that could be contaminating the system. If the pan is relatively clean, then the TCC (Torque Converter Clutch) solenoid is at fault and should be replaced. In an emergency only, you can locate the wiring harness that routes to the transmission and disconnect it at the transmission. It is located on the front of the unit toward the driver's side on a front wheel drive and can be easily seen from the top. On a rear wheel drive transmission, the harness is on the driver's side of the transmission. Once the harness is disconnected, the torque converter clutch should not engage. The harness allows other functions to occur, and you will probably see a "check engine" light after it is unplugged. Do not continue to drive the vehicle in this condition. This is just to allow you to drive the vehicle long enough to have it repaired! If the symptoms continue after the harness is disconnected, then there is a mechanical problem with the torque converter and/or transmission. Please don't! Changing the fluid and filter is a periodic maintenance operation that rarely "fixes" a problem. What it does is takes away some important clues that will help in the evaluation of the problem. Any material in the pan will be lost as well as the actual condition of the fluid. Pan residue can provide important information on the type of internal problem that may exist, so do yourself and the technician a favor and don't disturb the evidence. There are several considerations that have to be accommodated. You will need to purchase the standard transmission, all of the clutch assembly, engine flywheel, the clutch linkage assembly, as well as, the shifter assembly. You will probably have to modify the supporting assembly, possibly change or modify the driveline or axles, account for the electronic controls such as the speedometer sensor and other sensors that the automatic may have that feed information to the computer. When the vehicle sits over night, fluid from the torque converter drains back into the pan area. When the vehicle is started, it takes a few seconds for the fluid to refill the converter. This "refilling" process will not fully occur until the unit is placed into any other gear position than park. This is a normal idiosyncrasy of a torque flight transmission. Also, if the engine/transmission mounts are bad and the engine rpm is above idle, there will be a noticeable "thump" when the reverse engagement occurs. If this symptom occurs after the vehicle is driven, there are other problems with reverse. Note: There is a valve body kit that will eliminate this symptom in the rear wheel drive versions only. Generally speaking, overdrive (O/D) is the highest gear in the transmission. On most cars the automatic transmission has 3 speeds and Overdrive (forth speed). Overdrive allows the engine to have less rpm with higher speed in order to have better fuel efficiency. When you switch it on, you allow the transmission to shift into overdrive mode after the certain speed is reached (usually 30 - 40 mph depending on the load). When it's off, you limit transmission shifting by third speed. In normal driving condition the overdrive should be always on. You may need to switch it off when driving in mountainous area or towing a trailer. The automatic transmission automatically shifts from OD to the 3-th gear when it feels more load. When it feels less load it shifts back to the O/D, but under certain conditions, e.g: driving uphill or towing a trailer, the transmission can not decide to stay in OD or to shift into 3-th speed and it starts to shift back and forth. That's the time you may switch it off and help the transmission to decide. You also may need to switch it off when you want to slowdown using the engine braking, for example, driving downhill. For more details, check your owner's manual. Is the work recommended necessary? Does the facility have the necessary expertise? Will they use quality parts in the repair? Will they omit any necessary steps or procedures in the repair? Will they honor the warranty? Will they be around to handle a problem during the warranty period? Now, the question cost comes in to play. The facility better charge enough to be able to do a quality job. If parts and/or labor are cut, the entire job will be jeopardized and you may lose all of your investment as the following quote says! It is unwise to pay too much, but it is worse to pay too little. When you pay too much, you lose a little money... that is all. When you pay too little, you sometimes lose everything, because what you bought was incapable of doing what it was bought to do. The common law of business balance prohibits paying a little and getting a lot... it is well to add something for the risk you run. And if you do that, you will have enough to pay for the something better. Go to the ATRA By-Laws page for answers. This symptom is very common in 3 speed rear wheel drive Ford transmissions that are several years (8 years +) old with high mileage (100,000 +), but can happen with any make. 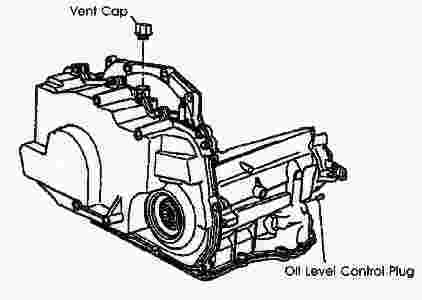 The symptom is caused by heat traveling from the torque converter through the input shaft to the forward clutch drum. The o-rings, particularly the inner, that seal the forward drum piston in the forward drum become hardened over time and mileage. They lose their ability to seal properly, so when the fluid pressure is applied to the drum, the piston doesn't move to apply the clutches. The delayed engagement starts at several seconds and progresses to several minutes. If the inner o-ring breaks, there will be a sudden increase in the delay. After the transmission comes up to operating temperature, it works well until it sets long enough for the symptom to occur. The C-4, C-6, and FMX transmissions are the units that will usually exhibit this symptom, but can happen in others. Front wheel drive and overdrive units rarely exhibit this symptom. If the delay becomes intolerable, the cure is to overhaul the unit. I do not recommend using an additive that will "soften" the seals. This may help in the short run, but cause other major problems in the long run. A transmission with the accumulation of miles and time for this symptom to occur will undoubtedly has significant wear in other areas. Does the vehicle still meet your needs? Do you like the vehicle? What is the cost to replace the vehicle? New or used? How many car payments does the repair cost equal? Can you expect the vehicle to last throughout that time period? If the replacement vehicle is used, what repairs will it likely need? You know the history of your vehicle. The used replacement vehicle's history may not be as clear. If you're planning to buy a new vehicle, the sales tax and tags cost may cover the cost of repair of your present vehicle. These two expenses are not "buying" anything with respect to the actual vehicle. Certainly, I can't estimate the pride of ownership of a new vehicle, but that choice is usually the most expensive option to resolve a repair problem! Additionally, it is virtually impossible to predict the future repair problems that your vehicle may need, but if you have established a good relationship with a repair facility, they should be able to provide some sage advice to help with your decision. If not, you're on your own. The usual cause for the symptom is hardened internal rubber lip seals on servos or clutch drum pistons. With the transmission is cold, the lip seals stick in their "at rest" positions. When fluid pressure is first applied, they will not move for awhile, but when they finally do they will function until the transmission cools down and the process is repeated. Additives that are formulated to soften internal seals will usually do more harm than good for the transmission in the long run. There is no way to control the affect that additives have on the seals, and therefore, the repair of the problem is to overhaul the transmission. The degree of "hardness" of the various seals in a transmission will vary greatly. The seals that are not hard will be softened to a gummy, swollen mush. When the transmission reaches operating temperature, the seals are softened enough to function properly. Invariably, this problem will get worse with age and colder temperatures. Noises and vibrations can be two of the most challenging problems to resolve. It is imperative that the cause be determined before repairs are attempted. Often, parts are replaced in hopes of curing the symptoms, but there is no change. This can get expensive, as well as exasperating! When it is suspected that the transmission is the source, the real cause can be drive line, engine, or exhaust related. Also when the vehicle is in gear, bad engine/transmission mounts can contribute due to the torque on the engine during acceleration. The torque will occur in one direction in forward and the other way in reverse. As a result, you can experience a vibration in forward or reverse and not the other. A common technique for diagnosing the source of a drive-train related noise is the have the vehicle raised on a lift with someone in the driver's seat and another technician underneath the vehicle. The driver can "drive" the vehicle in an attempt to duplicate the symptom or noise while the other technician can locate the source. A standard transmission is generally more fuel efficient that an automatic because the automatic needs a pump to produce pressure for the unit to work. The pump takes some of the power from the engine to run. Also, the automatic uses a torque converter to transmit power from the engine into the transmission, and is a fluid coupling and therefore does not transfer 100% of the power mechanically as a clutch in a standard will. Later model automatics have a lock up torque converter that will provide a mechanical connection with the engine, but not in reverse and only in the gears above 1st. Of course, driver technique will also play an important part in fuel economy. 30- I have water in my automatic transmission. Can it be flushed out? In a word, no. When water gets inside of an automatic transmission, the friction lining of the clutches absorbs it and dissolves the glue that attaches the material to the clutch plates. Usually, some amount of water will come out of suspension and form white gummy masses in various areas of the unit. Simply put, this is why the unit cannot be flushed to remove all of the water. In addition, the presence of water will start rust forming on the ferrous metal parts throughout the unit. The amount of water and the length of time that it is inside of the unit will determine the extent of the damage, but the resolve to the problem will be to overhaul the transmission. There is no shortcut that will "repair" the situation! It's only a matter of time before the unit will exhibit abnormal operating characteristics and fail completely. FYI, water usually gets into the transmission in one of two ways. First, all transmissions have a vent to maintain equal barometric pressure inside of the transmission. If the vehicle is driven through water (as in a flood) and the water level is at or above the vent, the water will cool the unit lowering the internal temperature and water is drawn inside of the transmission. Also, virtually all modern transmissions (some were air cooler in the old days) have two cooler lines that route from the transmission to a special tank the radiator to cool the transmission fluid. If this special tank ruptures, transmission fluid can enter the radiator and water can enter the transmission. In this case, the cooler tank in the radiator will have to be replaced as well as rebuilding the transmission. One of the common indications of transmission fluid in the radiator coolant is the "strawberry milkshake" appearance of the coolant. Click here for an Automotive Service Association article on water in the transmission. A transmission service consists of a test drive, removing the transmission pan, draining the fluid (about half of the total), changing the filter and pan gasket, test driving again, and adjusting the linkage and bands if necessary. The advantages: The filter is changed along with the fluid similar to an engine oil change and the vehicle is test driven and linkage and bands (if applicable) are adjusted. Usually, this service is done at a facility that has more knowledge about transmissions. The disadvantage: Only a portion of the fluid is changed. A transmission flush consists of attaching a machine to the transmission and removing virtually all of the fluid and replacing it with new fluid. Unless the pan is removed, the filter cannot be changed. At some facilities, the vehicle is not test driven or the linkage and bands adjusted. The advantage: A more complete replacement of fluid is done. The disadvantages: Most of the time this service is done at a facility that has less knowledge about transmissions and none of the additional services are performed. Occasionally, abnormal operating symptoms arise because the valve body and/or other control items are contaminated by residual wear material that is disturbed and circulated during the flushing process. Congratulations! You are the first person to remove the transmission pan. The plug is used to fill the filler tube hole in the transmission case before the unit is installed in the vehicle on the assembly line. When the filler tube is inserted, the plug falls into the pan where it remains until the pan is removed. It served its purpose and serves no useful function any more. Many people have tried to find a place to install it or though it might be the cause of some abnormality, but alas, it's has no current function. You can toss it. That's the age-old question when confronted with a major repair on an older vehicle. Many people buy or lease a new vehicle to escape the higher cost of a repair. Cars are built better today than ever. A properly maintained Honda can last 500,000 miles as an example. The key word is "properly." Some owners just change the engine oil and keep it clean. That attitude will not provide longevity! Regular, periodic maintenance, as outlined in the owner's manual is the key. The table below shows an example of whether to keep a 1992 Honda Accord you already own, put a ton of money into fixing it up and keeping it verses what it costs to replace it. The chart is based on a 7.9% interest rate and the lease is based on what Honda has advertised in recent years. It's over $3,000 less to keep your present car than to buy a new one, and $9,000 less than leasing. Check with your accountant, but this example can be very enlightening. Yes, it is possible, but not practical in my opinion. The job is a major redesign of the drive train. Also the gear ratios are different for 1st, 2nd, and reverse, so the takeoff will be less efficient. With no overdrive, the engine rpm's will be higher at highway speeds (same as 3rd gear with the 700) and the gas mileage will be less. In late model, computer controlled applications, the electrical system will need to be modified since the normal feedback to the computer will not be available with the 350/400. Other than that, the 350/400 are good units, but the 700 can be built to hold up. For the most part, I'm not a fan of additives. Most of them have compounds that voraciously attack the "rubber" seals throughout the transmission. Usually, only a portion of the seals have hardened due to heat and age, but the additives will not be able to differentiate between the ones that are hard and the ones that aren't. Therefore, when the additives come in contact with the seals, they swell and soften to a point that they will not function. The common experience after using the additive is a betterment initially, but after a few weeks, there is a major deterioration in the performance of the unit. If the seals are damaged, there is no improvement, just the deterioration phase. With external leaks, the additive will not cure gaps , such as loose pump bolts, worn bushings, cracks in the case, bad gaskets, etc. I've seen more harm than good from the use of such products, and am a firm believer in periodic service as the best for the health of the unit. If all those additives for sale did as much as they promise, we would not be in business! Also, usually the slickest thing about the additive is the person selling it! When a repair is recommended and you don't necessarily feel that the result will remedy the problem, ask the service writer if this is a guess or a fix. If the answer is a guess, ask whose money are we guessing with, theirs or yours. · I just wasted my time and money. · These guys don't have a clue. This might have been avoided if this subject was covered before the repair was started. As a consumer, you need to feel that you made the decision to proceed with a repair based on the knowledge that the recommended repair was appropriate and was going to remedy the problem. If there was any doubt, you should have been told that this may not fix the problem. Then you should evaluate the risk before you give the authorization to proceed. Remember, it's your money and time that is at risk. You should feel comfortable that the recommended repair will provide the correct result. If not, get a second opinion. Soft parts include clutches, bands, overhauls kit, filter, internal sealing rings, bushings, external seals and gaskets. These are the parts, along with a torque converter, that are always replaced during an overhaul of a transmission. Upon internal inspection, some major component parts may also need to be replaced such as the pump, a clutch drum, or a planetary gear set. There's no way to know the condition of these "hard parts" before the unit is disassembled in order to include them in an estimate. In the "old days" the cost of these parts was minimal due to the limited variety of transmissions and could be included in the estimate, however late model, computer controlled unit can have some expensive parts that may need to be replace to insure that the unit is fully repaired. So, it is common for a major repair of a transmission to include a list of the commonly replaced parts, and remain open until an internal inspection of the unit can be made. While that is an option, you might want to think twice. If your transmission had been working well until now, there was no reason to think that it was going to have a problem until it occurred. That's the same thing that an automotive wrecking yard will think when they purchase a wrecked vehicle. If the transmission was working well, the transmission would be placed in their inventory, and when someone needed a transmission, it would be sold as a serviceable unit. If your vehicle was sold to a wrecking yard a month prior to the appearance of the current problem, the transmission would develop a problem about a month after it was installed. Not only will this require additional labor to remove and install a replacement unit, the next unit may not last as well. That's assuming another unit for your vehicle is available. These days, transmissions are more specific to a year, make, and model than they were a few years ago. So, what to do. The used transmission option is the cheaper assuming that it's a serviceable unit. But, if you are going to keep the vehicle for the next several years, a rebuilt unit should be more reliable and a better warranty. The facility that installs the used unit will probably charge you each time a unit is installed. In other words, if the first unit is no good, expect another installation charge for the next one. That's assuming the supplier has another unit. You might ask about the supplier's return policy. Another reason to consider, is whether the "transmission problem" is actually in the transmission. With today's computer controlled units, there are numerous electronic sensors, external to the transmission that can be responsible for the current problem. Also, another reason to have the symptoms diagnosed by a transmission professional. I've had vehicles towed into our facility, and was told that the owner had replaced the transmission only to still have the same symptoms! Using the phone to "shop" for transmission work is probably the worse thing you could do! None of the shops can diagnose your problem without the vehicle, so how do they know what you need. Anything they quote you is based on pure speculation. This is not fair to you! Add to that the fact that you can't see their shop or their personnel. This can tell you a lot about a shop and how professional it is. What parts are contained in one quote may be extras another. Can you tell the difference? Would you know what parts they are talking about? Would you know what parts they aren't telling you about, but always include? When your problem is diagnosed, you can tell if they have taken to necessary time and effort to accurately evaluate your transmission's condition, if you are there. Inspecting the fluid level on a 4T40-E is similar to inspecting the fluid level on a manual transmission. It uses a fill plug (oil level control plug) rather than a fill-tube and dip stick. To inspect the fluid level, follow the procedure below. Caution: Removal of the oil level control plug when the transmission fluid is hot may cause injury if fluid drains from the oil level control plug hole. · The transaxle temperature should be above 40 C (104 F). · Raise the vehicle and make certain it is level (do not raise just the front of the vehicle). · Apply the brakes, move the shifter through all of the ranges (engine running) then return the shifter to the park position. · Remove the oil level control plug. If fluid does not drip from the oil level control plug hole, the fluid level is low. Add fluid through the vent cap as necessary. This technical bulletin is furnished courtesy of the Automatic Transmission Rebuilders Association. The technical bulletins are accessible by subscription only. Click here or the ATRA logo to visit their web site. This is a very common problem with some of the late model Ford overdrive transmissions. The source of the problem lies in the torque converter clutch that chatters as it engages causing a vibration to be felt. While this would seem to be a major warning sign of failing transmission, this will usually be cured by servicing the transmission (changing the fluid). If the symptoms persist, follow the recommendations of you local transmission facility. The most important thing is not to delay having the service performed. The longer the unit exhibits the symptom, the more on a chance that damage will occur. 42- My older Chevrolet pickup truck makes a thump on acceleration after stopping. The noise you describe is probably coming from the front drive line yoke splines at the transmission output shaft. It is very common that the wear in the splines causes "slop" that allows some "extra" rotation. When braking the vehicle, the drive shaft "holds" the transmission shaft back. When accelerating, the transmission output shaft "drives" the drive shaft in the opposite direction which allows the slop in the splines to rotate in the opposite direction and you hear this as a snap or bump. You can experiment to confirm this by letting the vehicle coast to a stop and then accelerating. There should be no noise. Then brake to a stop, and then accelerate. The noise should be present again. The harder the braking, the more pronounced the noise will be. The slop in differential gears will also contribute to this. This is a very common in older/high mileage Chevrolet trucks, and my 1972 pickup has done this since 1976. Check the universal joints to confirm that they are in good shape and the play in the differential to confirm that it is okay. Otherwise, just keep driving and don't worry about it. Take comfort in the fact that you know the answer the one of the great mysteries of Chevrolet trucks. Most owners wonder, but few know the reason. BTW, the symptom in my truck has never gotten any worse, just very predictable. Since the symptom relates to both forward and reverse, I suspect that the problem is thick fluid when its cold. When the vehicle sits overnight or a long time, fluid in the torque converter drains back into the pan area of the transmission. When the engine is started, the fluid is picked up from the pan to refill the converter. This process usually happens quickly and isn't noticed. When the weather is cold, the fluid is thicker and takes longer to fill the converter. Any wear or pressure loss in the filter seals or the pump will cause the process to take longer. The torque converter transfers the power from the engine into the transmission and works like a fluid coupling using transmission fluid. So, until the torque converter is full, there will be no engagement of the transmission felt when it is placed into gear. The first thing to check is the fluid level. If the level is okay, have the transmission serviced to replace the filter and its seal/s. But, if the filter is clogged with material, it could indicate severe wear inside of the transmission. This is probably the toughest question to answer because if you knew what you did incorrectly, you wouldn't need to ask. These faulty results could be termed "unintended consequences." You were simply trying to repair, modify, or perform maintenance on your transmission but the results were not satisfactory. I'm not trying to be curt, but there is a big difference between diagnosing a problem in a stock configuration and one that has been modified or repaired. We have had vehicles in our shop with mistakes made during a repair that would not have been in our top 10 guesses. As Murphy's Law states: "If it can be done wrong, it will be done wrong by someone." The best advice I can offer is to have a transmission professional review the work "hands-on" to determine what mistake/s were made. This basically requires re-doing the work and inspecting every step until all the mistakes have been resolved. I suggest you take the van to a local ATRA transmission shop where the transmission can be evaluated "hands-on" to determine the present condition of the transmission. They should be able to point out any problems relative to the operation of the unit, and by removing the transmission pan, they can check for an accumulation of material that would indicate impending problems. Also, they can get an indication by checking the pan gasket whether the transmission has had previous maintenance. Some of the "clues" that a professional transmission technician can use to evaluate a transmission may not be obvious to the average person. Also, a fresh pan gasket and new transmission fluid and filter may indicate an attempt to cover up signs of major wear in order to sell the vehicle. Few buyers will go to the trouble and relative inexpensive cost to have the transmission itself evaluated by a transmission professional resulting in a major expense shortly after their purchase. When it comes to the purchase of a used vehicle, it's usually buyer beware. Translated, the code means that the torque converter clutch is slipping. Beginning in 1980, GM modified their torque converters from a simple fluid coupling device between the engine and transmission by adding a piston to create a mechanical connection to increase gas mileage. When these transmissions evolved into computer controlled units, sensors monitor the slippage in the torque converter. Theoretically, there should be zero slippage when the piston is applied, but in reality there is some allowable slippage that is acceptable. In time, valve bodies that control the functions of the transmission developed a wear problem in the area that controls the application of the piston. This wear allows the piston to slip beyond the allowable limits and sets the code in the computer. While GM is familiar with this problem, don't look for any recalls. At first, this may sound like a reasonable request, but think about it. By taking your vehicle into a repair facility after getting a "worst case" estimate, you have essentially given your approval for the worst case cost regardless of the real repair cost. Do you really want to set yourself up like this? Second, the worst case scenario is extremely rare. Taken literally, this means that your transmission is so badly worn that it is not repairable and will have to be replaced by another unit. And, if it's computer controlled like most transmissions are these days, the computer will also have to be replaced. How about additional sensors that feed the computer information? How about the engine and transmission mounts? To answer this question accurately, the answer would have to include everything that could go wrong with a transmission along with any and all of its control devices. The real question to ask is, "What will be the cost to diagnose my transmission?" If the answer is that it will have to be removed, disassembled, and inspected, then what is the anticipated cost range that I can expect? Many people get in too deep by getting a cheap inspection quote and not knowing the real cost of repair until their transmission has been removed and disassembled. Now it's too late to decide that you don't want to invest that much money! The transmission is out and torn down. To attempt to assemble and install it, and expect that it will perform as well as it did before the inspection is not reasonable. After a transmission is diagnosed while it is still in the vehicle, a repair cost range can be given. It is not accurate to the penny because an internal inspection has not been done, but at least you have a reasonable estimate to make your decision whether or not to proceed with the repair. Simply put, it means that as the vehicle attempts to move from a stop, the engine revs and the vehicle barely moves or doesn't move at all. OR, when the transmission shifts from one gear to the next, the engine revs during the shift rather than smoothly shifting to the next gear and the engine rpm dropping accordingly. It doesn't mean the upshifts are late and the engine revs higher than normal before the shift occurs. This would be a transmission control problem, not a slipping problem. Put another way, the clutches or bands are not engaging properly and they are not gripping as they should. When this occurs, heat builds up radically and the friction surfaces are burnt along with the transmission fluid. Therefore, burnt fluid (either dark brown or black in color) always accompanies slipping. In the early stages of slipping, a burnt smell will be the first noticeable indication. Slipping is an indication of a major internal problem that will require a major repair to resolve. Small bubbles in the fluid on the dipstick is a common occurrence. It is just one of the signs that the transmission fluid needs to be changed, along with color and smell. When the color is turning brown or the fluid smells burnt, have the fluid changed. None of these indicators necessarily means that the transmission is in bad. They are just indications that it's time for a service. Do have transmission fluid checked when having oil changed. Stick to one brand of transmission fluid instead of mixing various brands. Do not change gear ranges from drive to reverse when your vehicle is moving. Do start your car properly with electrical accessories turned off Do not spin tires on turns with front wheel drive vehicles. Do come to a complete stop before you shift into first or reverse. Do not drive your vehicle when there are transmission problems, this may cause further damage. Do make sure you come to a complete stop before moving gear into another range. Do not drag race your vehicle as it puts unnecessary strain on your transmission. Do check your tires regularly and keep them properly inflated. Do not drive in 4x4 range on dry pavement unless vehicle is all wheel or automatic 4x4. Do turn the steering gently and take it easy around corners. Do not drive on spare tires or mismatched tire sizes with front wheel or all wheel drive vehicles for extended periods of time. Do heed your vehicle’s warning lights. Do not run the engine down to a completely empty tank. Do not tow your car with the transmission connected to the drive wheels. The gears will not be lubricated properly. Send mail to brendakorte@yahoo.com with questions or comments about this web site.